A member of the PWCVB sales team interacts with a meeting planner once or multiple times. This could be via phone, email or even in person. Our sales team often travels to trade shows, corporate offices and association headquarters pursuing business. The primary salesperson on an account receives an RFP (Request for Proposal) and fulfills its requirements, which may include hotel room blocks, transportation options, marketing support opportunities and other key elements. The PWCVB salesperson works closely with the Rhode Island Convention Center and local hotels, when applicable. If an RFP is particularly elaborate, the PWCVB Marketing team may design the RFP, incorporating elements specific to the bid. Once an RFP is submitted, that event is considered tentative business. Many times, a meeting planner will request a site visit. If this is the case, the PWCVB sales team will plan a brief trip for the planner to come to Rhode Island and tour facilities featured in the bid. If a bid is awarded to the Providence/Warwick area, it is then turned to definite business. If is not awarded to us, it is considered lost business. Once a bid is awarded, the PWCVB’s convention services team works with the meeting planner to make sure every need is taken care of. This includes any vendor referrals, pre-promotion, signage, marketing support and more. While a meeting is on-site, the convention services team serves as the primary liaison but many other PWCVB staff members may be involved with the group. 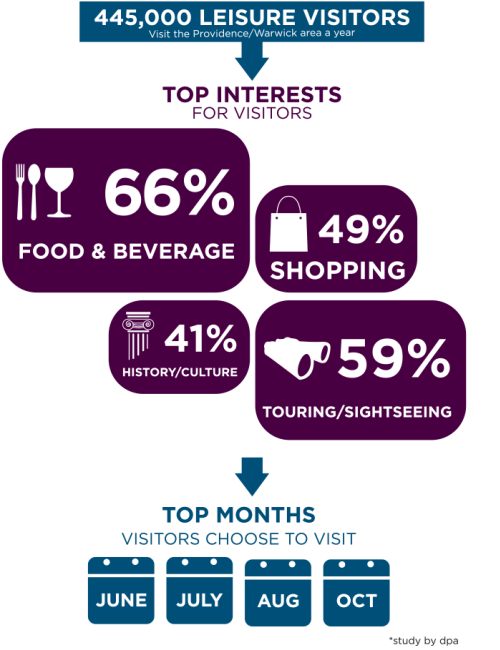 Our Visitor Services team provides destination information to attendees and our Marketing team handles any public relations and social media promotion that is requested. After an event takes place, the meeting planner is sent a customer satisfaction survey. The PWCVB typically scores 90 percent or higher on these surveys. Meeting attendees who enjoyed their experience return to Rhode Island as leisure visitors. The PWCVB’s award-winning marketing team functions as an “in-house” advertising agency, handling the bulk of the marketing strategy and branding, Web and social media, communications and public relations, member services and special events for both the PWCVB and the RI Sports Commission. our top colleges and universities. While our strategies and tactics evolve, everything we do showcases and strengthens those attributes. From year-over-year Web traffic increases, to a strong social media reach, to being named “52 Places to Go” by The New York Times in 2016, we have seen our efforts bear fruit. Here are some of the ways we strengthen our brand and achieve our mission. The PWCVB uses a mix of online and print advertising in its marketing efforts. 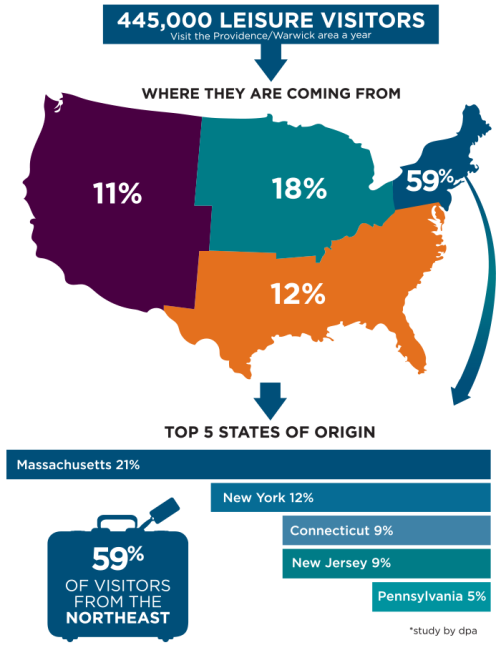 Leisure advertising targets the Northeast drive market, as well as two “niche” marketing campaigns – one that targets culinary enthusiasts or “foodies” and one that targets the LGBT market. The PWCVB’s website GoProvidence.com serves as an informational clearinghouse for tourism, meeting planning, group tour and other travel information. Having a strong social media presence is integral to a successful marketing campaign. The PWCVB’s marketing team includes an on-staff photographer and videographer, allowing us to capture striking images and fun video on the fly. We have nearly 135,000 fans across four platforms: Facebook, Twitter, Instagram and Pinterest. We also have 300,000 views of our videos on YouTube. With crossover into Facebook, these fans have viewed our videos more than 600,000 times. The PWCVB works with reporters on local, regional, national and international levels. We have strong relationships with the local media, including programming the culinary segment of “The Rhode Show” every Monday morning. Members of our team regularly visit New York and Boston — sometimes bringing along community leaders and newsmakers — to meet with reporters to discuss Providence and all of Rhode Island. We regularly host 50–100 journalists a year in Providence, working with local hotels, restaurants and attractions that show the best of our destination to these travel journalists. We build each itinerary individually, based on their interests, and meet with each one of them. If they are traveling alone, we act as their host/tour guide throughout their entire stay. Often, we collaborate with the other tourism regions in Rhode Island or the state tourism office, so that the reporter can see all of Rhode Island. We also field questions from hundreds of reporters annually, from the local journalist on deadline to the national magazine just beginning a story, we answer every media inquiry within 24 hours. Our timeliness and attention to detail, coupled with the amazing community members who help us promote all of Providence’s wonderful attributes, have yielded strong results. Here’s what people are saying about Providence. Since we’re pretty busy trying to bring visitors to Providence, Warwick and all of Rhode Island, a lot of the work that we do is outside the state. But there are a few events that we do that are fun for locals and visitors alike. 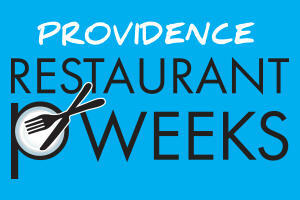 Begun as one week in July about 10 years ago, Providence Restaurant Weeks has evolved into two, two-week long events, occurring in January and July. Nearly 100 restaurants participate in the event, in which three-course, prix fixe lunches are offered at $16.95 and three-course, prix fixe dinners at $29.95 or $34.95. The PWCVB registers all the restaurants, then collects and posts all their special menus on our website ProvidenceRestaurantWeeks.com. Because our Restaurant Weeks program is so well-organized and well-established, other destinations have used it as a model and we happily provide them with advice. Another longtime event that has become a Providence tradition, the Federal Hill Stroll highlights one of Providence’s best-loved neighborhoods. Held every June, patrons pay $30 plus tax for a button that entitles them to food samples and discounts from participating venues, as well as two beverages. Capped at 1,200 participants, the event either sells out or comes pretty close every year. We started Do-Over Day after we couldn’t take another snow day ruining our plans. We work really closely with local restaurants and merchants and felt their pain every time bad weather kept people at home. That’s when we decided to pick a Saturday in April and redo the events that had been snowed — or frozen — out. Thus, Do-Over Day was born. In Winter 2014–15, we partnered with the First Gentleman Andy Moffit and the Rhode Island Hospitality Association to give the program a statewide scope. With the help of several local media partners and businesses, who offered special Do-Over Day discounts and promotions, local businesses were able to recoup at least a little of business they had lost over the winter. The past few winters have turned out to be mild and Do-Over Day has taken a break. Here&apos;s hoping that break extends through next winter, too. Like any business, we want to make sure that our customers are happy and satisfied. 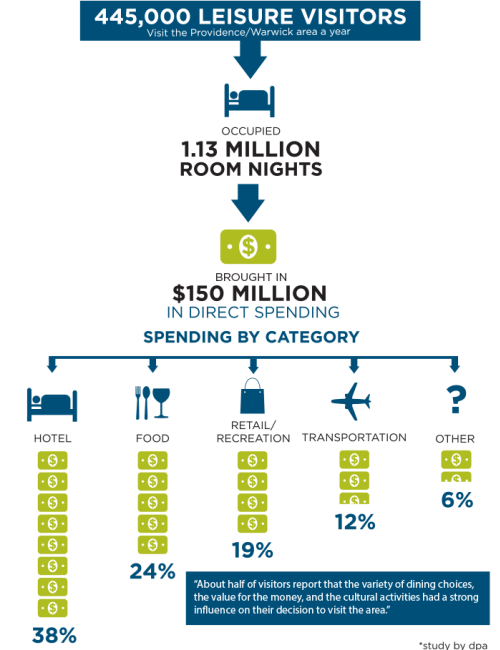 With that in mind, we work with a research firm to conduct a study on leisure travel in Providence and Warwick. Here’s what they had to say.